Toronto Deal of the Day on Cupcakes! If you are looking for a tuxedo, check out Syd Silver liquidation sale. You can purchased a previously-worn tux for the price of a rental. A standard package which includes tuxedo, tie, shirt, cufflinks, cummerbund and pocket square is only $99. Visit sydsilver.com or call 416.256.4784. There are 4 locations within the GTA. What perfect timing for us! We were able to find my fiancée and our groomsmen a tux to keep. Lindt is having a 70% off sale on their Valentines day and seasonal limited edition chocolates at all their outlet locations. This is a great time to get your favors if you were planning to use chocolates. You can get a listing of the outlet locations via Lindt’s website. Godiva is also having a sale on Valentines stock, but don’t expect large discounts. A 2-piece truffle box with red ribbon is marked down approx 50 cents. Amanda-Lina is having a sale on wedding dresses from Jan 7-Jan 10, 2010. Dresses starting from $299.99 and up. 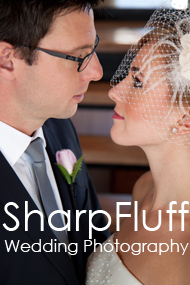 Looking for deals on wedding bands or engagement rings? Get 50% off your next Birks purchase, if you spend $2,000 or more at Birks on December 26*. Full details below. There are no boxing day sales at Tiffany & Co. here in Canada – despite the crazy line-ups seen at Yorkdale. Stay tune for more ways to save on your wedding ring/engagement ring purchase. We’ll have a full article on that, coming right up! *Offer valid on December 26, 2009 only at any Birks store location. Purchase of $2,000 or more (before applicable taxes) must be on regularly-priced merchandise only. 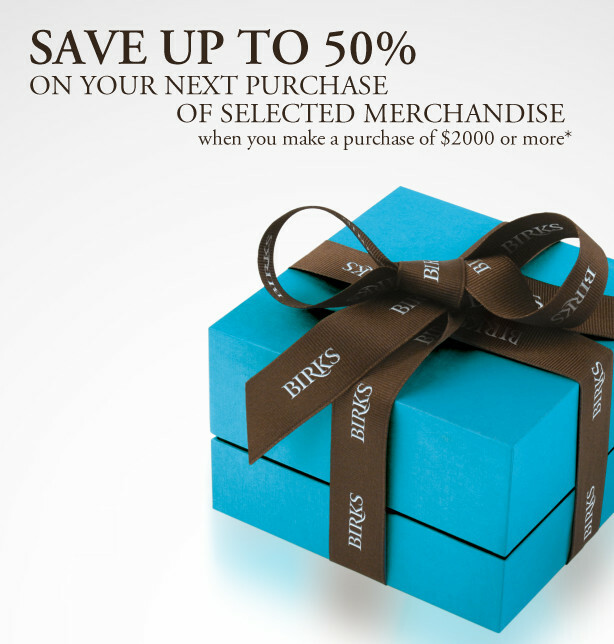 The 50% discount applies to your next purchase of selected merchandise only (after your purchase of $2,000 or more). Some restrictions apply. See store for details. All sales are final. No refunds, exchanges only. This offer applies to in-store purchases only. Offer cannot be applied to previously purchased merchandise or special orders and cannot be combined with any other promotional offer. This offer excludes any purchase of the following branded merchandise: THE AMORIQUE DIAMOND® , Cartier and Van Cleef & Arpels. Link to original ad. Superior Bridal is having another trunk show, this time for Blue by Enzoani’s 2010 collection. Dec 18-30.